To say that Duane Miller starred in basketball at Dalton High School would be an understatement. He played from 1960 until 1963, and then he coached from 1969 to 1980. During his playing days, Miller scored 1201 points for the Bulldogs and made 343 of 474 foul shots for a career average of 72.3%. in the 1961-62 season, the team finished 17-6, won the Wayne County League and the Sectional. Miller led the area in scoring with a 21.5 points per game average and was selected to the County All-Star team. In the 1962-62 season, he scored 516 points and carried a 28.5 average. From the field, he was 45% and was 77% from the foul line. He made 194 of 250 foul line attempts with 17 made throws in one game. He also had 171 rebounds. The Bulldogs finished second in the Wayne county League and made it to the Districts. Miller was a unanimous choice for the Wayne County All-Star team and was voted to the third team All-Ohio. Miller also played football for the Bulldogs. In 1962, he was chosen to the All-League team as an offensive end. 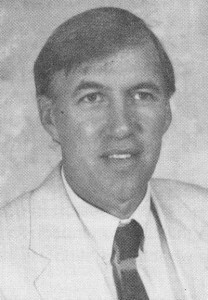 As a basketball coach from 1969 to 1980, he amassed a 141-85 overall record, with a 98-56 Wayne County League record. His teams won seven Sectional championships with six in a row. They also won two Wayne County League titles and four runner-up finishes; 1972-73 Districts runner-up; 1973-74, 20-2 record, Regional runner-up; 1974-74 WCL, Sectional; 1975-76 Sectional; 1976-77, District runner-up, won all 9 home games, tops in WCL and area in defense allowing 46.2 points per game. Miller has played fast pitch softball in the area for 23 years, starting with a team called Tiny’s Tigers, which later became the Kidron Merchants. He held down the shortstop position better than just about anybody in this area. The Merchants played against the top fast pitch teams in the State and had their share of wins. They won the State Tournament in 1973 and 1978 and came in second in 1980, 1981, and 1982. A regular at the Orr Park Memorial and Labor Day Tournaments, the Merchants won their share of these as well. Some of the classic games in the area were played there. Miller has taught at Dalton, has been principal of Dalton Elementary and High School. He is currently Superintendent of the Dalton Local Schools. He has been involved in the Kidron Athletic Association for many years. Duane Miller has proved himself to be a Champion on the basketball floor as player and coach, on the football field, on the softball field, and in the school system in which he has worked. He is deserving of induction into the Wayne County sports Hall of Fame.